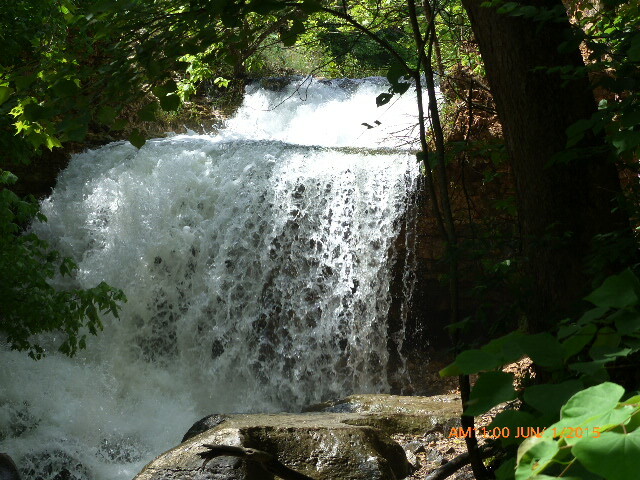 It finally quit raining and dried up enough for me to safely navigate the Tanyard Creek Nature Trail. The trail was closed for several months this winter to effect some much needed erosion control following major flooding in 2013. You can still smell the lumber on one of the new bridges. 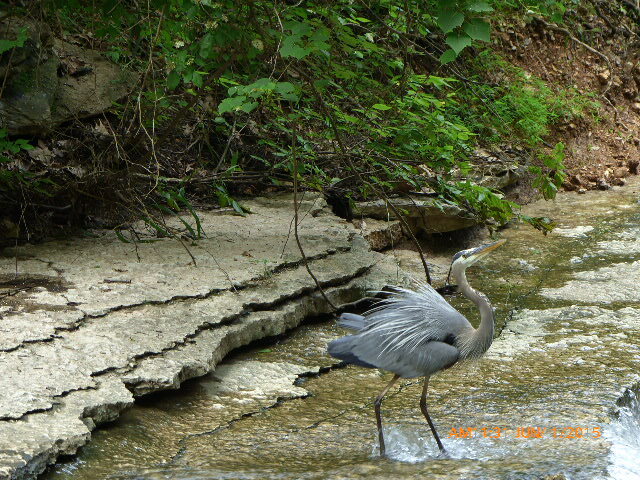 We have two resident herons here that frequent Lake Bella Vista and Tanyard Creek where I have tried to capture them with my camera. I had two opportunities on Monday. I was just about to capture Mrs. Heron in flight when Mr. Heron swooped by and they both took off. They saunter along the shore and stand stock still if they sense you are there but when they’re ready to leave, it’s buh-bye right now. Both of these photos were chosen as Pic of the Day on our local KNWA-TV Facebook page and during the news yesterday. What a beautiful day Monday was. Sunny, not too hot. I took a group photo of a family visiting, whisked a mosquito from another visitor’s cheek and got some wonderful photos, which I’ll share in future posts. In the meantime, back at the ranch, I finished the binding on my challenge quilt, weaved (wove?) in loose threads and now need to add some embellishments. I am also going to add two more lines of quilting. TIP: Easy-threading needles make weaving in thread ends so easy. There was some major distortion where I quilted on the diagonal but I managed to square the project up. 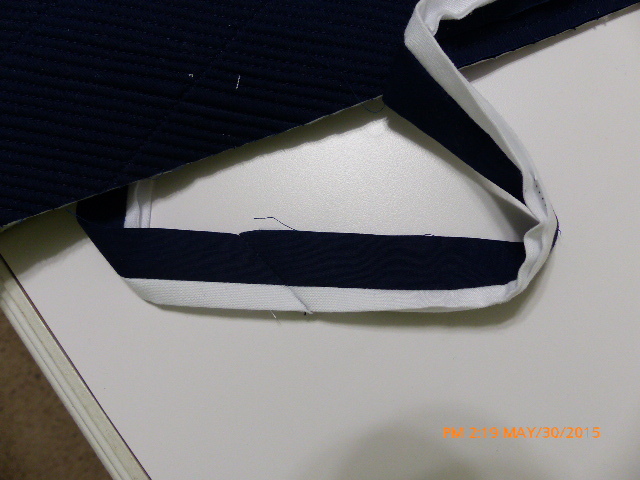 I also got the seams to match when I joined the ends of the two-sided binding. Here is the quilt before binding. I have also been doing some cleaning and am ready to return to my orange leaves. I’ll post more about that next week. That’s it for now. May all your photos, and your life, be in focus. 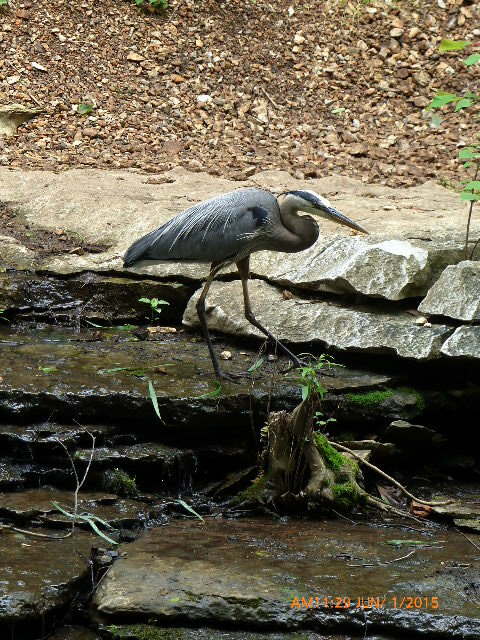 Posted on June 3, 2015, in photography and tagged Herons, KNWA-TV, photography, quilt binding, quilting, Tanyard Creek Nature Trail. Bookmark the permalink. Leave a comment.